As I crossed the threshold and entered the church, a mass was being celebrated. It was the time of Holy Communion, and the Eucharist was being distributed. 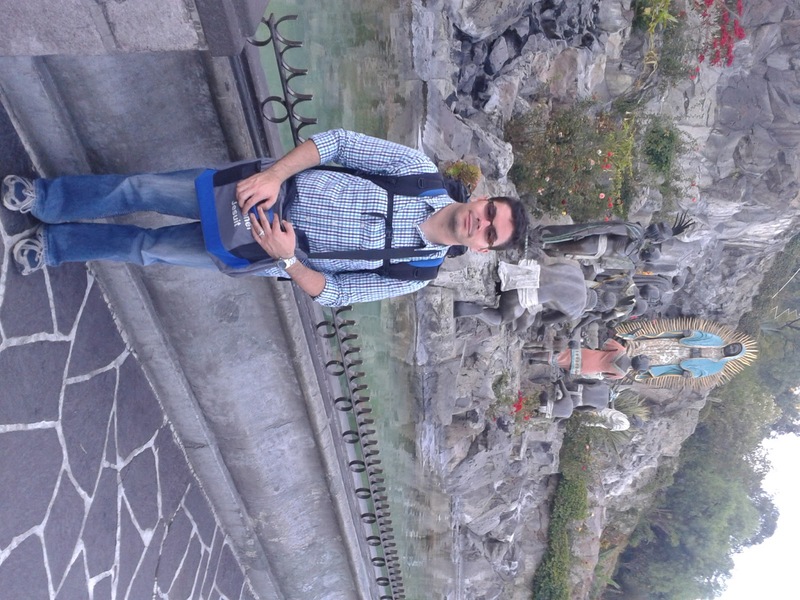 It became clear to me that my visit to the Tepeyac was pointing through Mary to Jesus. As Blessed Pope John Paul II reminded us, the maternity of Mary is a unique means by which we are able to receive the Self of Jesus Christ more perfectly. Mary is the Theotokos, the God-bearer. She continuously points us to God and his presence in our lives. The Gospel for today is the Annunciation of Our Lord. In a small village in the region of Galilee, the archangel Gabriel visited a young girl and announced to her that she was to become the mother of the Messiah. Understandably, Mary was troubled about the angel's words. Gabriel's words echoed in her heart: “Hail, full of grace, the Lord is with you” (Lk 1:28). Hail, full of grace. No one else in the Bible has ever been honoured by an angel with such an exalted title. The Greek word for such a title is kecharitomene, which translates into “endowed with grace”. 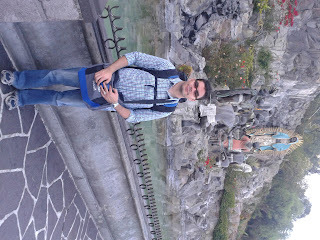 The word implies that God has acted in Mary's life and he has done wonderful things. The emphasis is in the endowing. Like the splendor of a work of art, what is highlighted is the work of the artist. In his greeting, the angel tells Mary that she is highly favoured because God has worked marvels in her life: the Lord is with you. The the annunciation is the proclamation of the mystery of the Incarnation. God makes himself present in our world: The Word became flesh and dwelt among us (Jn 1:14). At the Church of the Annunciation in Nazareth, there is a small plaque that reads: Hic verbum caro factum est. Here the Word was made flesh. Here. This here indicates the geographical site where Jesus was conceived, but most importantly it points to the reality of the Incarnation. In the person of Jesus Christ, God dwelt among us. Here. On Earth. Through the Incarnation, reality and time were transformed once and for all. Everything and everyone in creation point to that mystery. Mother Mary is constantly pointing us to her son. 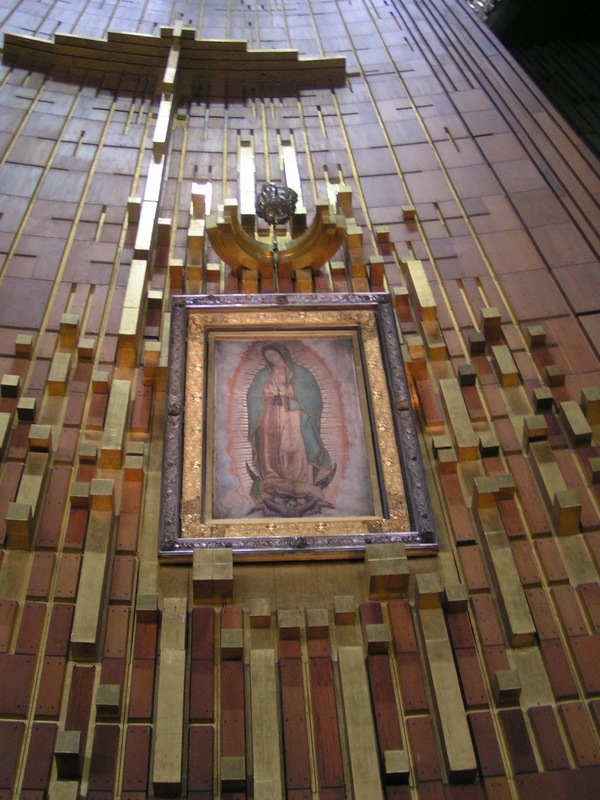 In her advocation as La Guadalupana, she appears to an Aztec man as both sister and mother. She speaks to him in the Aztec Nahuatl language. The message is clear: the Word became flesh for all peoples of the world. La Morenita del Tepeyac communicated that message in the language and customs of the native people. The image of Mary in the tilma, the outer garmen worn by Saint Juan Diego, portrays a mother's face, gentle and compassionate. She has the appearance of a Mestiza woman (of both European and Native American descent). Her attitude is one of humble prayer, so she is clearly human and not a god. The black band around her waist means that she is with child. 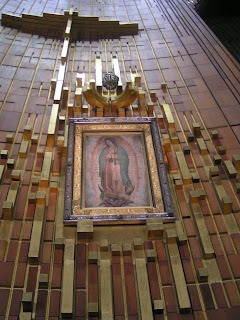 It is her child that she offers to the people of the world. Her message is about him. Mary invites us to to receive the Word of God in our hearts and to contemplate him. Sister Mary Elizabeth from the Sisters of Life once said that Mary desires to take all of us into the heart of her Son. She is the Christ-bearer and she desires that we become bearers and witnesses of Christ as well. Mary's life witnesses to the wonderful things God does in the world. Her maternity and motherhood point to her Son – Our Lord and Our Brother – Jesus of Nazareth. Indeed, our lives are Eucharist. We seek to be tabernacles and to carry Christ wherever he loves to go: to the broken-hearted. May our lives always witness to the presence of God in the world. May we always testify to the wonders God has done in us. May we constantly profess and celebrate the presence of God, here in the world.